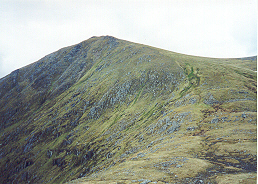 Sgurr na Lapaich, which is linked to An Riabhachan and Carn nan Gobhar by its WSW and ESE ridges is the most craggy of this group. N of the summit a narrow ridge curves NW around the crags of Garbh Choire to An Leth-Chreag, where the slopes into Glen Srathfarrar are otherwise moderate and accessible. To the S the summit ridge leads to Sgurr nan Clachan Geala where the ridge divides, the main ridge going SSW to Braigh a' Choire Bhig whilst a short rocky ridge leads E then SE to an access path from Glen Cannich in Glas Toll. The ridge then continues SSW to Mullach a' Ghlas-thuill whose steep slopes overlook Loch Mullardoch. 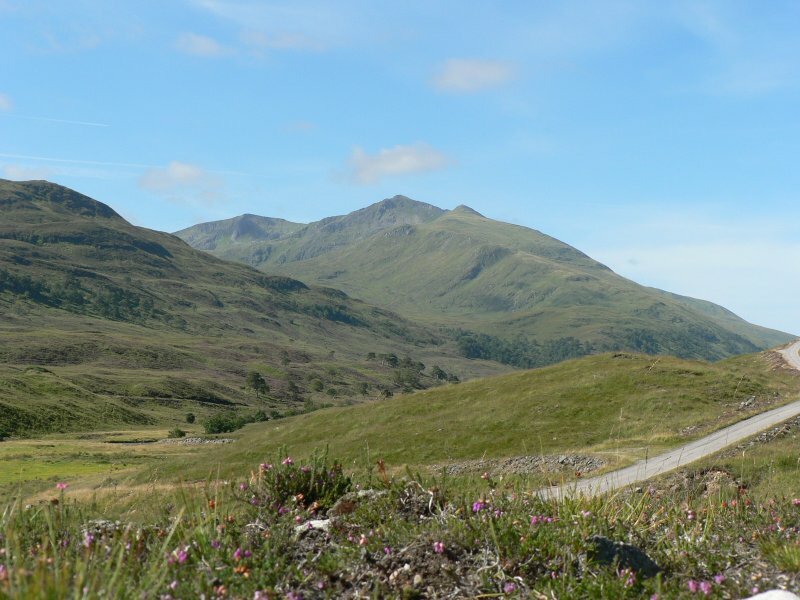 Sgurr na Lapaich from Glen Strathfarrar. 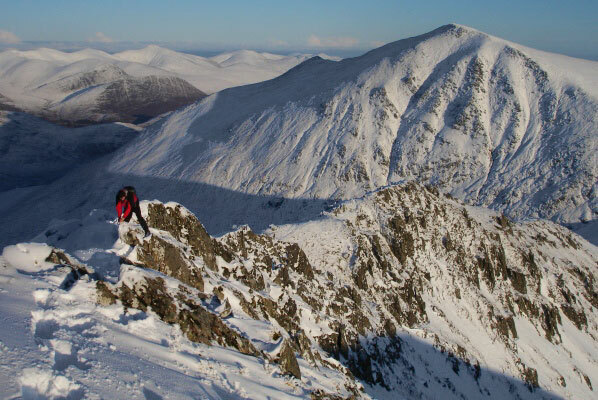 The summary information of one or more ascent routes that include Sgurr na Lapaich. 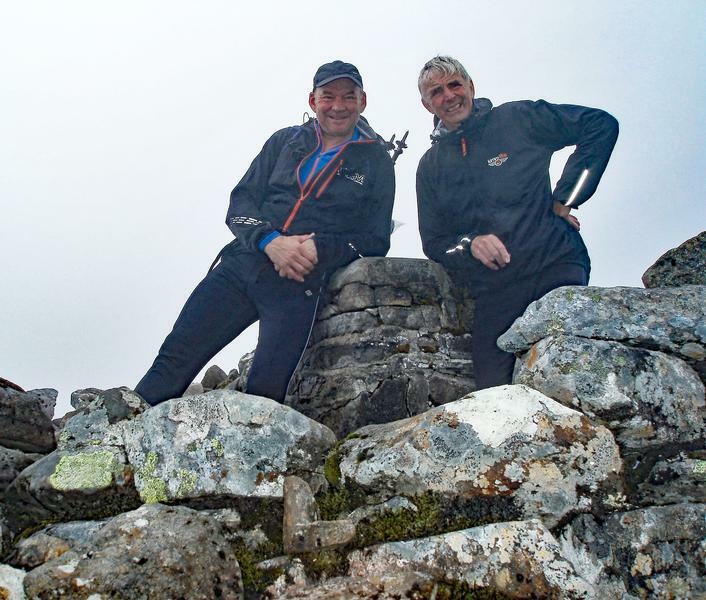 1 2017 m 67.14 km 17 hrs Sgurr na Lapaich and Carn nan Gobhar [Loch Mullardoch] Longer route with steep slopes ascend and descend, so route time given here will be a minimum. These are remote mountains covered in crags, naviagte with care. 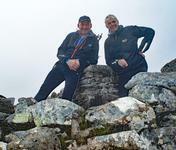 Roy and John at the summit, happy and obviously not expecting the torrent of rain and thunder about to hit them! 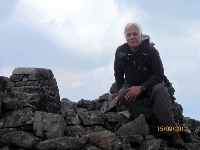 James enjoying the views from the summit of Sgurr na Lapaich 15/08/2012. Great day. 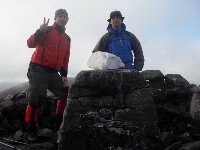 Myself with Karl on top, 5/11/11. 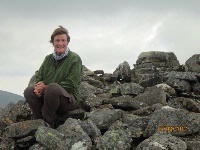 Post a few words about Sgurr na Lapaich or read what others have had to say. For those contemplating the complete ridge (to An Socach) and back - the path shown on the map along the N shore of Loch Mullardoch does indeed exist (contrary to rumour) and, though rather slow and winding, is very pleasant. 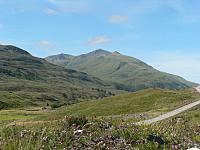 Even the pathless section to the Allt Mullardoch is relatively easy going.